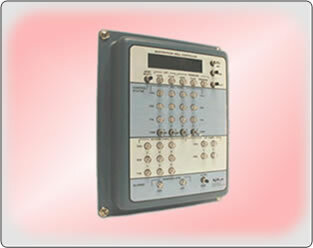 AGM offers a variety of product configurations to telemeter process control variables among sites. 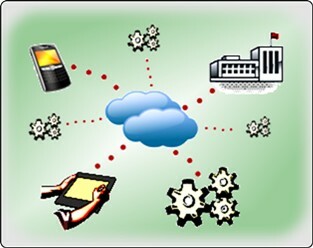 The Communication mediums can be wireless, wired or a combination of both. Communication networks can be Spread Spectrum Radio, Cellular, Satellite, Fiber Optic Cable, Metallic Wires, and Dedicated / Dialup Phone lines to name a few. 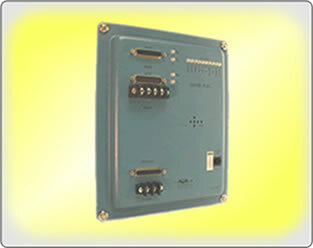 One-to-many analog and discrete signals can be transfered between any mumber of locations. Flexibility: An extensive list of and the modularity of AGM‘s products ensure a solution to a variety of system design requirements. Packaging: The Wired and Wireless Transceivers (WTC) are provided assembled and tested, ready for installation, startup and operation upon delivery (Turn-Key) or the WTC components can be purchased separately and easily installed and integrated into existing systems. Support: AGM provides free technical support during commissioning. The support includes coordination with Cellular phone and Satellite and other service providers as required. Power Options: The WTC power options include AC, DC and Solar. Control Functions: The WTC includes control functions that can be incorporated to automatically control onsite devices such as pumps and valves. 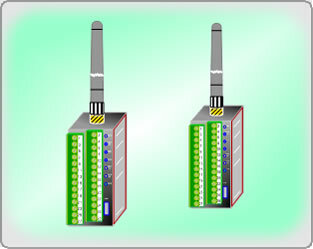 The Wired/Wireless Tansceiver (WTC) is used to telemeter data between two or more remote sites using various communication mediums. The following table is a tool for constructing a model number based on your specific design requirements. Note - Please contact our Domain Engineering staff if you are unsure of which WTCs to specify for your application. Or email or fax us a block diagram of what you need and we will fill in the model numbers and promptly provide you a Hardware Overview and Proposal. We will also work with you to develop OEM products. 2 Analog and 4 Discrete signals to be communicated between two sites via Spread Spectrum Radio. Antennas are to be of the Yagi type. Enclosure is to be NEMA4X rated. Power will be 115 VAC. No interface display or control is required. Go to "Selection / Documents" to locate a WTC for your requirements. You may Order on line, Email, Fax or Mail your order.